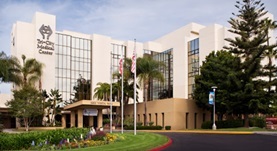 Dr. Ryan Viets is a radiologist from La Mesa, California. He has been practicing medicine for more than a decade. He graduated from the Keck School Of Med of The Usc. He continued with an internship in internal medicine at the White Memorial Medical Center. In 2011, he completed a residency stage in radiology at the Beth Israel Medical Center and two years later he finished his fellowship stage at the Washington University, St Louis. Dr. Ryan Viets is licensed to practice medicine in several states. He has also contributed to a publication that focused on coil migration and subsequently delayed hemorrhage. Dr. Viets is currently affiliated with Tri-City Medical Center.